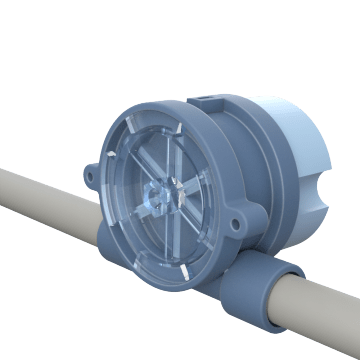 Check the spinning rotor to confirm flow at a glance and rely on the electronic sensor to trigger the switch that activates or deactivates equipment when flow stops or reaches the set point. These switches also have an external screw for easily adjusting the flow set point using a flat-blade screwdriver. Ideal for monitoring coolant flow to protect sensitive electronic equipment in semiconductor, medical, and robotic welding applications.